ZyLAB provides Maintenance and Support Services according to the terms and conditions of this Maintenance and Support Policy. Maintenance and Support Services will commence on the effective date of the applicable Product Order Form. The following capitalized terms used in this Policy shall have the meanings as set out below. 1.1 “Agreement”: Agreement means the license, maintenance and support agreement between ZyLAB and Licensee. Hot Fixes are tested by Licensee itself and by ZyLAB’s customer support department. Major Releases are regression tested by ZyLAB’s testing department, including interoperability testing with other ZyLAB products. Minor Releases are regression tested by ZyLAB’s testing department, including interoperability testing with other ZyLAB products. 1.5 “Product”: A Product is a unit which is priced and licensed separately. 1.6 “Product Order Form” means the order form(s) for the Software and/or Maintenance and Support Services entered into by the parties. 1.7 “Response Time”: The Response Time is the elapsed time between Licensee contacting the ZyLAB customer support department via telephone, email or via the online ZyLAB case management system and the time ZyLAB confirms receipt of the Support Case, verbally or in writing. From 8.45 a.m. to 5.45 p.m. from Monday through Friday (Central European Time), excluding the following bank holidays as observed by ZyLAB: January 1st (New Year), Easter Monday, April 30th (Queen’s Day), Ascension Day, Pentecost Monday, December 25th (Christmas Day) and December 26th (Boxing Day). From 8.45 a.m. to 5:45 p.m. from Monday through Friday (Eastern Standard Time), excluding the following bank holidays as observed by ZyLAB: January 1st (New Year’s Day), Memorial Day, Independence Day, Labor Day, Thanksgiving, Thanksgiving Day after, Christmas Eve, December 25th (Christmas Day). Service Packs are regression tested by ZyLAB’s testing department. 1.10 “Software” means the ZyLAB software in object code form set forth in the applicable Product Order Form(s), plus any new releases provided by ZyLAB as part of the Maintenance and Support Services. “Support Case priority 4 – LOW” means all other issues concerning the use of the Software, not being a priority 1 – CRITICAL, 2 – HIGH or 3 – MEDIUM Support Case. Typically, this would be an enhancement request or user questions. 1.12 “Support Term”: Support Term means a twelve (12) month period contracted for by Licensee for the Maintenance and Support Services. 2.1 Subject to the terms and conditions described in this Policy and to the full and timely payment of the applicable Maintenance and Support Services fees, ZyLAB provides Maintenance and Support Services as described below. This Policy will always apply to all licenses ordered by Licensee as described in the Agreement and as set out in more detail in the related Product Order Form(s). Whenever Licensee decides to purchase additional Software licenses, these additional licenses will automatically fall under the scope of this Policy. Access to the ZyLAB online support case management system, ZyLAB user forum and product downloads. 2.3 “Maintenance Services” means the delivery of Hot Fixes, Service Packs, Minor and Major Releases and the provision of related documentation. 2.4 ZyLAB may provide Licensee with optional support offerings as set out in article 11 below. Fees for these optional maintenance and support offerings will consist of an increased annual Maintenance and Support Services fee which will be indicated on the appropriate Product Order Form. 3.1 This Policy only applies to the standard ZyLAB Software products. Modifications to or use of products or functionalities including, but not limited to, modified ZyLAB Webserver Templates, non-standard applications of ZyINDEXImport.exe, ZySCAN, ZyINDEX and ZyFIND command line integrations or modified ZySEARCH start pages are not supported products under this Policy. ZyLAB professional services department may provide such support on a time and material basis at the then current rates. 3.2 To the extent technological developments make necessary or desirable, ZyLAB shall have the right to make additional requirements on the configuration required for the installation of a new release of the Software. Licensee’s failure to comply with such requirements will invalidate the Software warranty as set out in the Agreement and ZyLAB will no longer be obligated to provide Maintenance and Support Services for the applicable Software. 3.3 ZyLAB may periodically make changes to the way in which its Products function.  To minimize the impact on the production environments of the Licensee, ZyLAB will use commercially reasonable efforts to maintain backwards compatibility. To the extent assurances of backward compatibility is provided by an authorized representative of ZyLAB in writing, Licensee may upgrade to a new version of the Product without the immediate need to make changes to its implementations, although in order to gain maximum advantage of new functionality, ZyLAB recommends that Licensee adapt its implementations after the upgrade. In cases of an upgrade to a Major Release, migration may be necessary directly after the upgrade. In such cases, ZyLAB will usually create an automated migration path designed to assist Licensee in upgrading its implementations and reduce the impact of the change. The release notes of a Product will specify whether adaptations to implementations are necessary and how ZyLAB supports Licensee in this process. 3.4 Although ZyLAB will use commercially reasonable efforts to incorporate all functional features of previous releases of the Software in new releases of the Software without modifications, ZyLAB reserves the right to deprecate functionality and eventually remove it from the Products. ZyLAB shall typically announce the deprecation in the relevant release notes of the Product and in the implementation manuals provided to Licensee. When a deprecation notice is given, Licensee should plan to adapt its implementations correspondingly. 3.5 Adapting the Software to a configuration which is different from the original configuration on which the Software has been installed is not covered under this Policy. 3.6 Maintenance and Support Services that becomes necessary due to theft and other circumstances that cannot be considered as normal use of the Software fall outside the scope of and are not covered by this Policy. 3.7 Requests for Maintenance and Support Services that are the result of a change in circumstances at Licensee or any other condition which bears no part in the function of the Software fall outside the scope of and are not covered by this Policy. 3.8 ZyLAB shall not be responsible for the safeguard of Licensee’s driver software, configuration files and/or further essential software. Resulting problems including, without limitation, malfunctioning caused by changing or updating drivers and/or configuration files without the express written permission from ZyLAB will not be covered by this Policy. 3.9 Faults caused by defects in communication lines, links with or use of products that are not covered by this Policy, dislocations, excessive heat, fire and smoke damage, excessive dust, large fluctuations in the main voltage, excessive humidity and damage by water, lightning strike, riot or war risk and other acts of God or events outside of the control of ZyLAB are not covered under this Policy. 3.10 Alterations of configuration rendered either remotely or onsite are excluded from this Policy. If reasonably requested by ZyLAB, Licensee will provide relevant data so as to facilitate testing of upgrade scripts, performance analysis and such. If reasonably requested by ZyLAB, Licensee will provide relevant data so as to facilitate the reproduction of any Support Case received from Licensee in order to facilitate ZyLAB’s correction efforts of such Support Case. 5.2 Beta: during the developmental phase of the release life cycle, ZyLAB may decide to make beta releases of its products available. Beta releases are not supported pursuant to this Policy; no Service Packs or Hot Fixes will be issued. 5.3.3 Upon availability of the next Service Pack of a product, the current active release enters the end of life phase. 5.4 Mature releases are supported releases pursuant to this Policy. Hot Fixes for critical updates may be released; however; ZyLAB will not roll out Major Releases, Minor Releases or Service Packs. For releases in this phase, Licensee should planfor the migration to an active release. 5.5 End of Life: Releases in the end of life phase of the release life cycle are supported by ZyLAB under this Policy, subject to the availability of trained personnel and resources with knowledge and experience regarding such releases. No Service Packs or Hot Fixes will be issued. 5.6 The ZyLAB release life cycle is an integral part of the ZyLAB release policy and issubject to change at any time with or without notice to Licensee. 6.1 The fee for the Maintenance and Support Services for the initial Support Term is set out on the applicable Product Order Form. Maintenance and Support Services fees for a contracted Support Term are non-cancellable and non-refundable. For any subsequent Support Term, the applicable fees are due and payable thirty (30) days before the commencement of that specific Support Term. 6.2 ZyLAB may modify the fee for Maintenance and Support Services for any Support Term. However, for a period of three (3) years from the start of the initial Support Term under the applicable Product Order Form, the annual increase of the fee for Maintenance and Support Services for any subsequent Support Term will not be more than five percent (5%) above the prior year’s fee. 6.3 All prices are exclusive of all federal, state, local, municipal or other taxes that may be assessed by the applicable tax authorities (except for taxes based on the income of ZyLAB). 6.4 ZyLAB shall have the right to delay performance of all or any of its obligations under this Policy until Licensee has paid all amounts due and owing hereunder. 7.1 All actual travel costs and reasonable expenses incurred by ZyLAB or its personnel in performing its obligations under this Policy will be borne by Licensee. ZyLAB will use economy tickets wherever possible, although in cases where an urgent response is requested by Licensee, ZyLAB may purchase business or first class tickets where no economy tickets are available. 7.2 All actual and reasonable accommodation costs, including hotels and meals, incurred by ZyLAB or its personnel in performing its obligations under this Policy at Licensee’s site will be borne by Licensee. 8.1 ZyLAB's provision of Maintenance and Support Services to Licensee will commence on the effective date of the applicable Product Order Form. Maintenance and Support Services will automatically renew on an annual basis for all Software licensed by Licensee at the end of the applicable Support Term unless ZyLAB has received written notice from Licensee of its intention not to renew Maintenance and Support Services at least thirty (30) days prior to the expiration of the then-current Support Term. ZyLAB may terminate Maintenance and Support Services upon written notice if Licensee breaches this Policy or the Agreement and fails to correct such breach within thirty (30) days following receipt of written notice from ZyLAB specifying the breach. 8.2 Termination of Maintenance and Support Services, or a failure to renew, will not affect the Software licences purchased by Licensee. 8.3 If Licensee sends a written termination notice and does not renew Maintenance and Support Services, and as a result does not receive Maintenance and Support Services for a period of time (“Lapse Period”), ZyLAB may thereafter renew Maintenance and Support Services at Licensee’s request, subject to Licensee paying ZyLAB’s then-current fees for Maintenance and Support Services, plus an amount equal to fifty percent (50%) of the fees for Maintenance and Support Services that would have been paid by Licensee during the Lapse Period had Licensee continued to receive Maintenance and Support Services during such period. 8.4 Pricing for Maintenance and Support Services is based upon the level of Maintenance and Support Services provided and the volume of licenses for which Maintenance and Support Services are ordered. In the event that Maintenance and Support Services for a certain amount of Software licenses on one specific Product Order Form is terminated, Maintenance and Support Services for the remaining licenses on that Product Order Form will be priced at ZyLAB’s then current list price for Maintenance and Support Services. In no event shall the new Maintenance and Support Services fees exceed the previous Maintenance and Support Services fees paid for both the remaining Software licenses and the Software licenses being unsupported. 9.1 EXCEPT TO THE EXTENT PROHIBITED BY APPLICABLE LAW, ZYLAB’S MAXIMUM AGGREGATE LIABILITY FOR DAMAGES OR LOSS ARISING OUT OF OR RELATED TO THIS POLICY, WHETHER IN CONTRACT OR TORT, SHALL NOT EXCEED THE TOTAL FEES PAID BY LICENSEE HEREUNDER IN THE SUPPORT TERM IN WHICH THE CLAIM IS MADE. IN NO EVENT WILL ZYLAB BE LIABLE FOR ANY INDIRECT, SPECIAL, INCIDENTAL OR CONSEQUENTIAL DAMAGES, INCLUDING DAMAGES FOR LOSS OF BUSINESS PROFITS, BUSINESS INTERRUPTION, OR ANY LOSS OF REVENUE, DATA OR DATA USE, EVEN IF ZYLAB HAS BEEN ADVISED OF THE POSSIBILITY OF SUCH DAMAGES. 10.1 Licensee may appoint individuals who are knowledgeable in the operation of the Software to serve as primary contacts between Licensee and ZyLAB regarding the registering and reporting of Support Cases. All of Licensee’s support inquiries will be initialised through these authorized callers. 10.2 If both parties agree that a given Support Case priority 1 – CRITICAL requires Support to be given at the Licensee’s site, ZyLAB will provide such on-site Support on a time and material basis at the then current rates. 10.3 This Policy reflects ZyLAB’s policy with respect to the provision of Maintenance and Support Services in force on the effective date of the applicable Product Order Form. 10.4 Licensee acknowledges that this Policy is subject to change by ZyLAB, provided that any such changes will only be effective for the subsequent Support Term, and provided further that written notice of these changes is given at least thirty (30) days before the start of the new Support Term. The level of Maintenance and Support Services provided herein will not diminish in quality due to a change in the Policy. 10.5 Licensee acknowledges and agrees that ZyLAB employees who perform Maintenance and Support Services under this Policy are a valuable asset to ZyLAB and are difficult to replace. Accordingly, Licensee agrees that, so long as ZyLAB is performing the Maintenance and Support Services hereunder for Licensee and for a period of one (1) year after ZyLAB ceases performing the Maintenance and Support Services hereunder for Licensee, it will not solicit or offer employment to (as an employee, independent con­trac­tor, consultant or otherwise) any ZyLAB employee who has performed any Maintenance and Support Services for Licensee hereunder. 10.6 ZyLAB has the right to contract third parties to perform all or any of the Maintenance and Support Services provided under this Policy. Optional Support Offerings are priced separately and not included in standard Maintenance and Support. A customer case environment at ZyLAB.